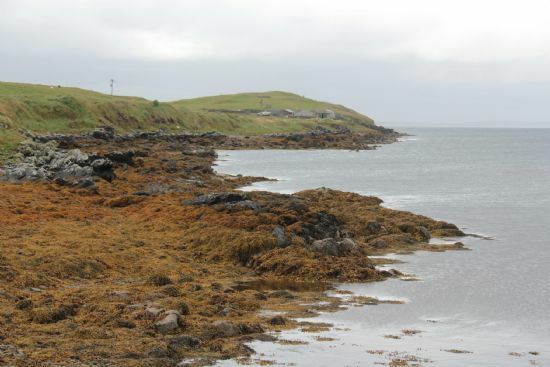 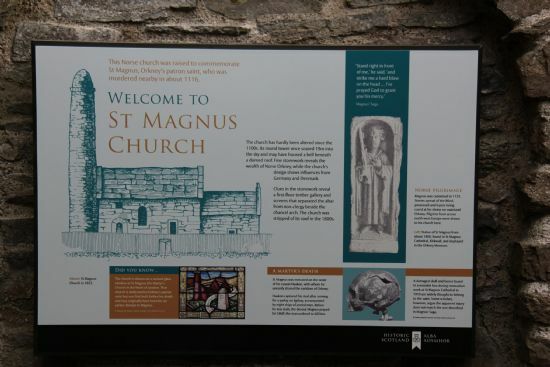 The skyline is dominated by St. Magnus Church, which was built by Norse settlers and dedicated to Earl Magnus Erlendson, replacing the Church featured in the 'Orkneyinga Saga', where the martyrdom of Magnus took place. 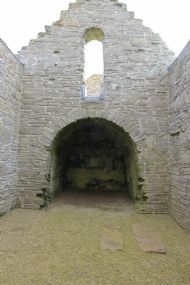 It remained in use until the mid 1800s. 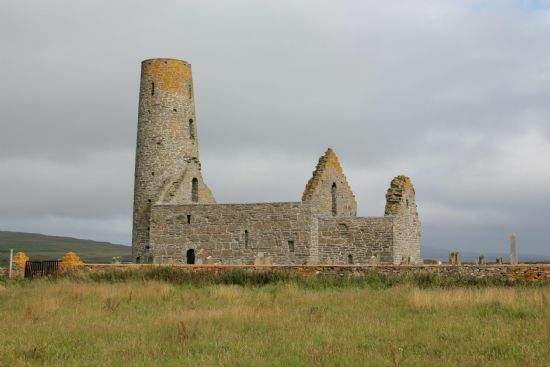 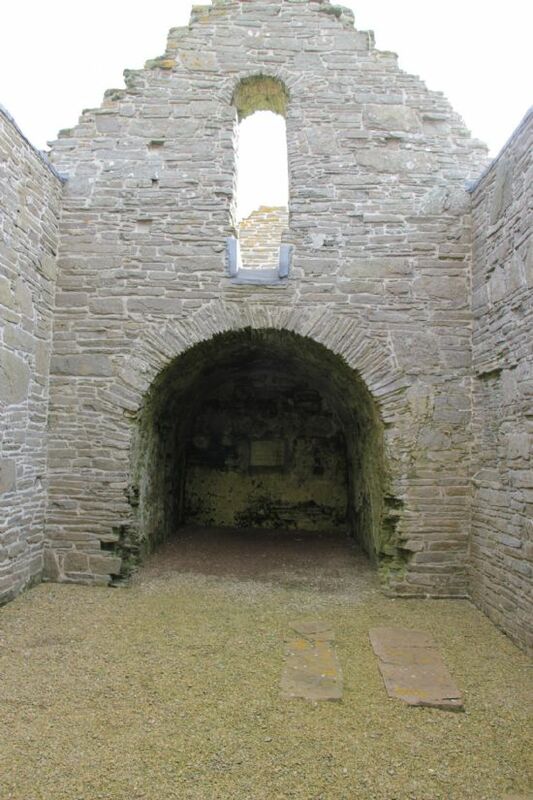 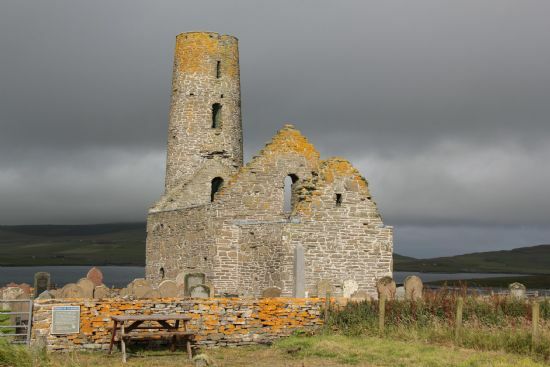 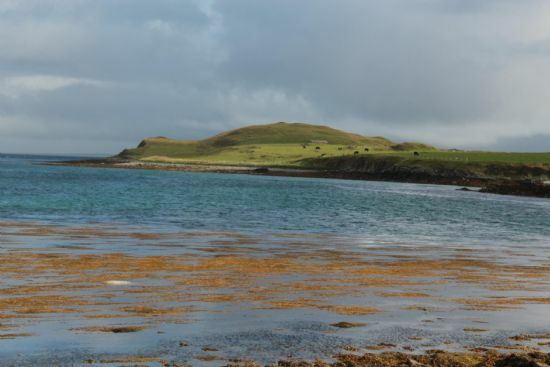 It is the only surviving example of the distinctive round towered churches in Orkney and Shetland. 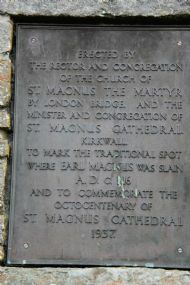 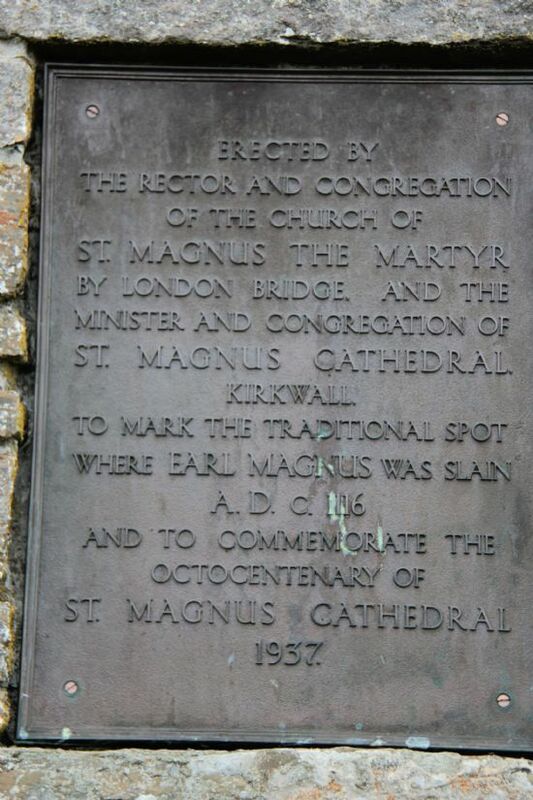 This marks the site of the martyrdom of Earl Magnus on the 16th April, 1116. 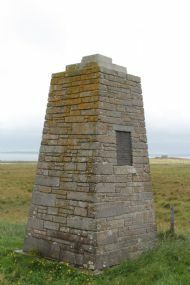 The monument was designed by John Firth of Kirkwall and erected in 1938.